To provide soothing warmth in winter or to soothe tension in the back or neck, the Beurer HK53 Cosy Back and Neck Heat Pad with its extra soft surface will provide gentle heat and relaxation. 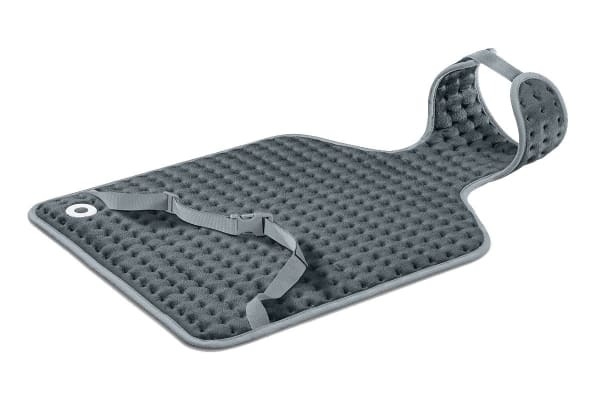 The Beurer HK53 Cosy Back and Neck Heat Pad features a snug, formfitting design that is individually adjustable using the abdominal belt and soft hook-and-loop fastener at the neck to suit every body size and shape. The extra-soft surface is breathable, snugly and skin-friendly with 3 fast heating temperature settings along with the Beurer Safety System (BSS) which ensures automatic switch-off after approximate 90 minutes. 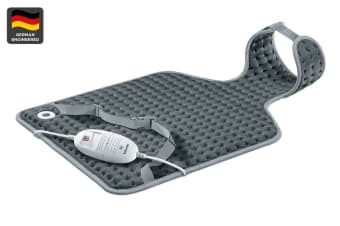 Accurate electronic temperature regulation and illuminated temperature settings with a removable remote control make the fleece fibre heating pad a hugely valuable soothing device for use by the entire family. This heating pad is fully machine-washable at 30°C. Your back and neck pain will just melt away with this Cosy Back and Neck Heat Pad.